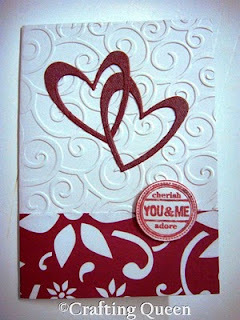 Cute...love the hearts and swirls! oh!! this is a sweet card!like it! I need this card and a happy budday card for Parthiv :D Let me know in a day or two. oh love the embossed background and such a sweet sentiment,a very cute card.